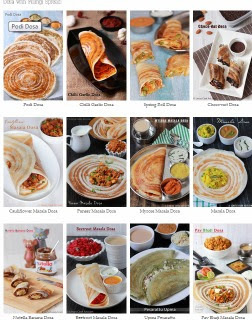 There are various types of biryanis available through out India. Kashmiri, Lucknowi, Hyderabadi, Mughalai Biryani..etc. 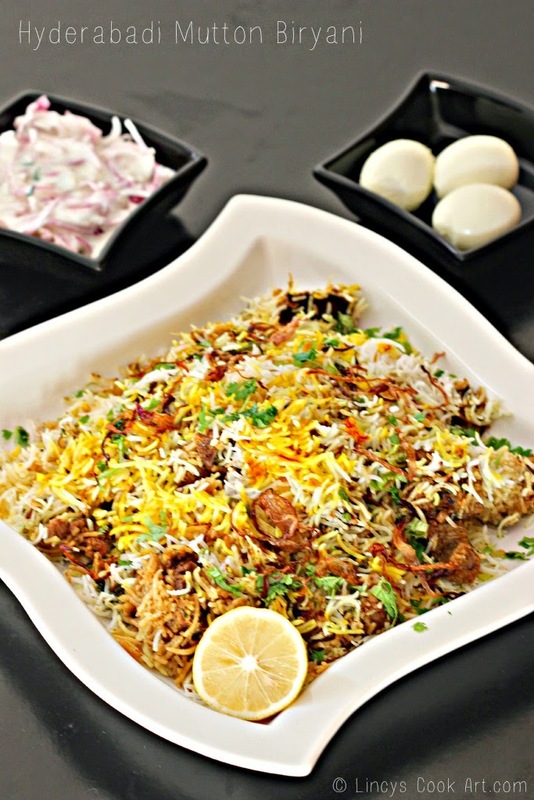 Amongst all Hyderabadi Biryani is one of the popular South Indian Biryani. The original recipe was shared from my neighbour. I often makes this recipe at home mostly Chicken Biryani. Hyderabadi biyani is one of my favourite biryanis. I love the home made versionof this biryani than the famous biryani shops. Katchi Biryani is prepared with the yogurt based masala gravy marinated with the meat and cooked under Dum with the half cooked rice. To make this wonderful biryani little bit of time and patience is very important. Slice the onions and deep fry the onions till golden brown colour. It should not turn deep brown. In a bowl add the mutton and papaya paste/ Vinegar and allow to tenderize for 10-15 minutes. After that add 2 slit green chillies, ginger garlic paste, jeera-1/4 tsp, curd, turmeric powder, chilli powder, garam masal powder, half of the fried onions, onion fried oil- 1/4 cup, coriander leaves and mint leaves and salt and mix well and allow to marinate for 1 hour. While the mutton is soaking half cook the rice with salt, a teaspoon of ghee, a teaspoon of jeera, raw garam masalas cinnamon, cardamom, cloves, bay leaves. Drain the excess water and allow to cool in a broad plate. Keep the marinated mutton inside a thick bottom pan and spread evenly. Layer half of the cooked rice and level the top. Keep some fried onions, coriander and mint leaves, 2 teaspoons of ghee, 2 slit green chillies and sprinkle little garam masala powder for flavour. Again layer with remaining rice and top it with saffron/ turmeric milk in circular motion. Cover with aluminium foil or dough to keep it air tight. Close with a lid and keep some weight on top. Allow to cook for 45 minutes on stove top on very low flame. (or) Keep the vessel on top a tawa and cook 15 minutes on high flame and remaining 30 minutes on low flame.